Boxed copies of Windows 8.1 are available for pre-order. Like, right now. Eager Win-heads can head over to the Microsoft's online store to step in line for DVDs housing the Windows 8 update, which releases to the public on Oct. 18. Windows 8.1 will be available Oct. 17 as a free download for those jumping straight from W8, but for those running an older version or picking Windows up for the first time will need to wait a day later and fork over at least $119.99 (about £75,AU$125) for the upgrade. 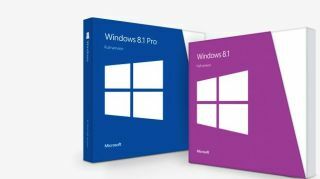 Windows 8.1 Pro retails for $199.99 (about £128,AU$213). No need to pre-order these bad boys. Our blips are ready for reading right now!